A self-confessed Champagne geek, Steve Pritchard has enjoyed drinking (and tasting) these sparkling beverages for over 20 years. Most often with his long-suffering partner in tow, he visits the region several times a year in an attempt to scratch the surface and see what details lie beneath. Here he files an in-depth report on a recent visit to one of leading growers of Champagne, Marc Hebrart. I am a huge fan of Champagne Marc Hebrart, and an even bigger fan of Jean-Paul Hebrart himself (right). Here we have a rare winemaker who possesses not only passion and intelligence for his art, but who is also disarmingly honest. His attention to detail is astonishing. My visit to Mareuil-sur-Ay is the highlight of the Champagne year for me; I learn so much every time I visit. Jean-Paul has surely forgotten more about the finer points of Champagne than I will ever know. Somewhat masochistically, I enjoy the feeling of being ‘put firmly back in my place’ as it forces me to dive deeper into the detail, and on to new discoveries. 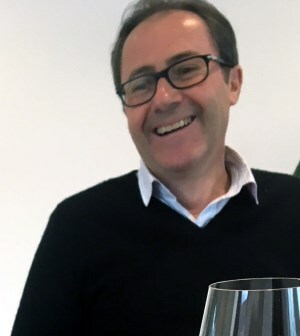 Jean-Paul continues to build upon his extensive portfolio of vineyards, with a diverse array of terroirs ranging from Chardonnay in Avize, Chouilly, Oiry in the Côte des Blancs, some beautiful Marne valley plots in Dizy and Aÿ, terminating at the domain with his core holdings at Mareuil-sur-Aÿ. Utmost care is taken in the vineyard, with meticulous attention given to each of his 70 plots. This intensive care extends to the harvest, where any dubious fruit is left behind on the ground. When vendange approaches, Jean-Paul uses a miniature, hand-held press to create a small sample of juice for analytical purposes. Vinification is mainly in stainless steel tanks (although oak is used for the “Rive Gauche, Rive Droite” blend). Jean-Paul likes to use moût concentré rectifié (MCR) for the dosage rather than cane sugar. The dosage is the sweetening liqueur added after disgorgement, to balance the wine and replace the sugars that were consumed during fermentation. Jean-Paul finds MCR, made from grape must, more neutral and less oxidative than cane sugar liqueur. No sulphur is added at disgorgement, yet I have never found excessive oxidative characteristics in newly released or aged examples of his wines. The Champagnes are made in a fresh, precise, fruit-expressive style, spiced with a detailed minerality. Their lightness belies their density; these wines are so flavoursome and easy to drink that too often I catch myself drinking rather than tasting during a degustation. They age well too – recently opened bottles of the 2009 Special Club have been stunning in their honeyed complexity. There are numerous non-vintage cuvées, with the highlights being the creamy Blanc de Blancs, and the ethereal mono-cru Rosé (now a large part of Jean-Paul’s production). The NV wines represent fabulous bargains. The quality and complexity take a step up with the vintage selection, starting with the Special Club. Usually around 55% Pinot Noir (Aÿ, and Mareuil-sur-Aÿ), and 45% Chardonnay (Chouilly, and Oiry), seamlessly integrated and superbly balanced. Fragrant, lithe fruit with ageing potential (and available in magnum!). 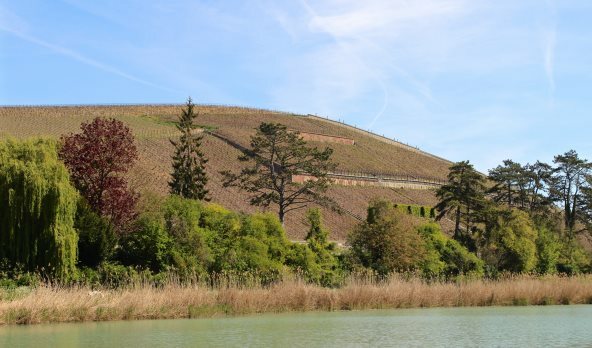 The aptly named Rive Gauche – Rich Droite indicates the wine’s origin from both sides of the Marne river: 50% Chardonnay from Avize, Chouilly, and Oiry (Côte des Blancs), and 50% Pinot Noir from Aÿ. Vinified in oak, without filtration and cold stabilisation, fermented using indigenous yeasts, it is a fine and complex wine. It can be a little stubborn when younger, with its neutral, dry extract. Wait a few years for the creaminess to emerge. The Noce de Craie (“Wedding of Chalk”) is a new wine, a Blanc de Noirs made in the best vintages using a massal selection of Pinot Noir from Aÿ. For the first 2012 release this Coeur de Cuvée was fermented in steel and sourced from five parcels of varying soil types (hence the name). An unusually understated expression of Aÿ, sublime walnut with finely-etched, chalky Pinot fruit without verbosity. The next vintage will be 2015 (probably released in 2020). Next year will see the release of a new wine: Clos le Leon (a small walled vineyard in Dizy). The 2014 and ’15 vins clair were superb. 2019 cannot come soon enough! (2018) Made from a 2014 base plus reserve wines from 2012 and 2013, 15% of the Chardonnay comes from Chouilly and Oiry, 85% from Mareuil-sur-Aÿ. Fermented in stainless steel with a dosage of 7 g/l. Flowery finesse, poised stone fruits, and a long, shimmering sensation of chalk. What's not to like? Drink: 2019-2022 with a potential to acheive 91/100. (2018) Blended from 35% old vines Pinot Noir from Mareuil-sur-Aÿ (parcels: Faubourg D'enfer, Croix Blanche, Pruche), 20% Pinot Noir from Aÿ (parcels: Cheuzelles, Pierre Robert, Le Leon), 25% old vines Chardonnay from Mareuil-sur-Aÿ. (parcels: Beauregard, Ramonette, Buisson Saint Loup) and 20% Chardonnay from Oiry and Chouilly. Fermented in stainless steel from the coeur de cuvée, with a dosage of 6.5 g/l. The 2012 has certainly moved on in the last 12 months, the nose retaining plenty of dense fruit, the palate has also gained weight. An attractive peachiness is now in emergence but it is a baby, best drunk 2022-2028 when it has the potential to score 94/100. (2018) Composed of 50% Pinot Noir from Aÿ (parcels: Chaffour, Cheuzelles, Longchamp, Pruche), 50% Chardonnay from Avize, Chouilly, Oiry, this saw oak fermentation and aging using indigenous yeasts, with no filtration or cold stabilisation. Dosage 4 g/l. Jean-Paul says he regrets not using an extra couple of grams of sugar in the dosage for this first batch (see what I mean about honesty), and I agree that this feels somewhat muted on the finish. Perversely (and with the caveat that I did not taste a bottle with the higher dosage), I have a feeling that the lower dosage could be the better bet with regards to age-ability, as it is most exquisitely balanced. On the nose we have a hint of what is to come: ripe exotic fruits, spiced with vanilla complexity. The palate is so tightly wound, although I expect some creamy, oak fuelled fireworks in the medium term. Drink: 2020-2028, with a potential to score 95/100. There are no UK stockists of this wine at time of review, but use the wine-searcher link to find retailers offering worldwide shipping. Champagne was no different to other wine regions in experiencing a difficult spring. Late April saw an unlikely combination of severe frost and thundery showers. At this stage many vignerons were downbeat, however, nature compensated: a burst of fine weather during the earlier part of the summer helped recover things, and although August was rather wet, by early September it looked as though a miracle vintage was on the cards. But what nature gives it can take away: rain began falling again half way through the harvest. In concert with the elevated temperature, Botrytis became established in the unpicked grapes. 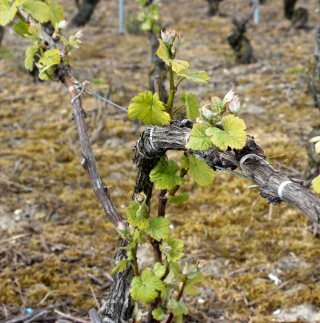 The photograph shows vines on the Montagne de Reims, recovering three weeks after the frosts. Chardonnay was the best variety by far (primarily because Chardonnay was picked early before the defining weather event), so we can hope for some excellent Blanc de Blancs vintage cuvées, in the most unexpected places! The Pinots were more difficult, requiring rigorous sorting to separate the good from the bad. Tasting vin clair is a useful, often eye-opening experience (and not because of the acidity: that would be better described as eye-popping). Jean-Paul lined up three Chardonnays for me this year: Chouilly (Montaigu), Dizy (Clos Le Leon), Mareuil-sur-Aÿ (Beauregard, Ramonette). After tasting the component vins clair, Jean-Paul performed an ad-hoc assemblage of all three, to give me an approximation of the finished blend for a potential Blanc de Blancs Special Club 2017.